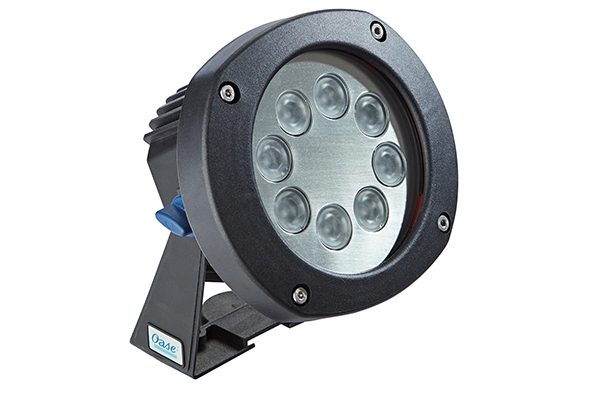 OASE ProfiLux commercial grade spotlights for intense underwater illumination of lakes and fountains. 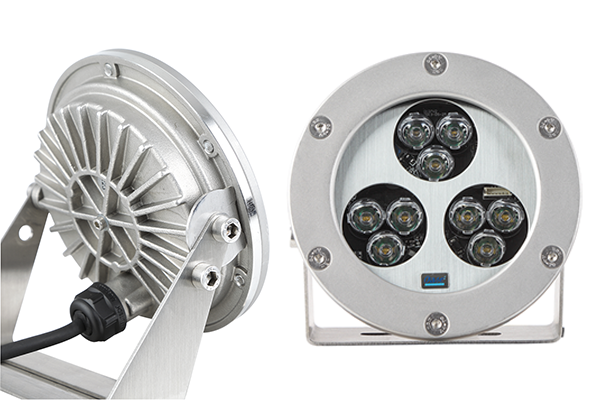 The OASE range of Profilux stainless steel spotlights are ideal for underwater illumination of large ponds and lakes as well as large water features and high fountain jets. These robust stainless steel spot lights are used for large commercial fountain projects as well as larger private installations where more intense lighting is required. The Profilux are supplied on stainless steel mounting brackets which allow the spotlight angle to be adjusted. 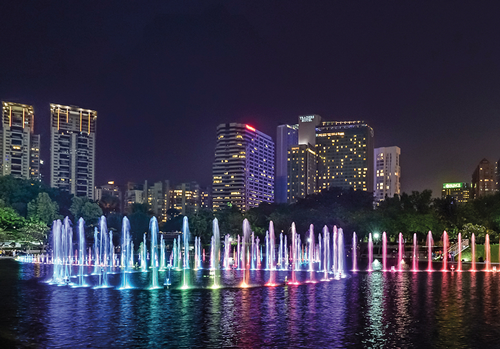 OASE ProfiLux lights are high-performance, German-engineered LED lighting systems from the OASE Fountain Technology range. ProfiLux LED lights are built specifically for use in commercial fountain applications and public-access water features and fountains, but can also be used for large private projects as these are very easy to install and operate with no especially technical components required. Submersible commercial LED lighting is now available as entirely low voltage 24V, submersible LED lighting systems, with numerous lights run from a single underwater driver. OASE LunAqua Power LED XL are an excellent, powerful all-around LED light which can be easily installed and used by private individuals and, with all of the performance of a commercial lighting system, provide a cost-effective alternative to high-grade stainless steel fixtures. These 15-watt units are available in 4 different styles, each offering a different beam angle and light spread, the flood versions being great for spread-lighting and the spotlights better suited to spotting particular features. 3000K warm white and 4000K cold white light temperatures are available to select from in all styles. These fixtures are submersible to 4 metres and come pre-wired with 5-metre power cables. The power driver used with this product is also submersible.